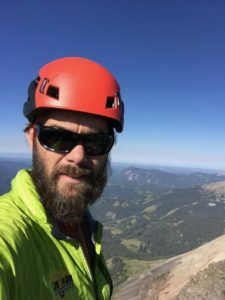 Josh is the owner of the San Juan Outdoor Adventures/ Telluride Adventures and the director of the Telluride Avalanche School/San Juan Field School. 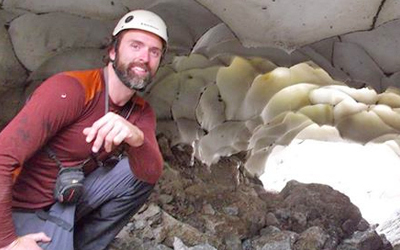 He has been one of the San Juan Outdoor Adventures premier guides for the past eight years. Josh has been guiding year round for a living for 20 years. He possesses a strong knowledge of the San Juan Mountains and feels that the Telluride area has endless outdoor recreation opportunities. Josh grew up in the White Mountains of New Hampshire where he was introduced to climbing, paddling, mountaineering, and skiing. From an early age he made it a point to find new places to explore. Some of his favorite destinations are Joshua Tree, Zion, Red Rocks, Moab, the Adirondacks, Acadia, Cascades, China, Ecuador, Argentina, Nepal and Bolivia. Josh has a love and appreciation for the natural world, which makes him passionate in sharing this love with others. He feels that it is the SJOA’s responsibility to help pass on an appreciation of all of the areas local cultural and natural history. Josh’s education includes a B.S. in Adventure Based Recreation Program Management and an Associates in Outdoor Recreation. 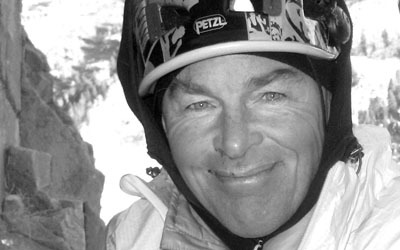 Some of his certifications and training include American Mountain Guides Association (AMGA) Top Rope Certification, AMGA rock instructor course, The American Institute for Avalanche Research and education (AIARE) Level II professional avalanche training, (AAA) Level II avalanche training, Wilderness First Responder (WFR), and CPR for the Health Care Provider. 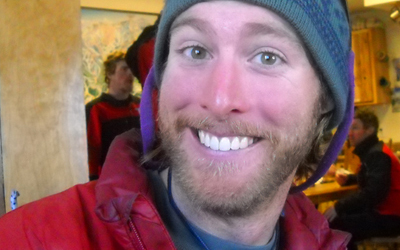 Josh lives in Telluride, Colorado with his wife Tara, their son’s Lincoln and Brahm, and two cats. 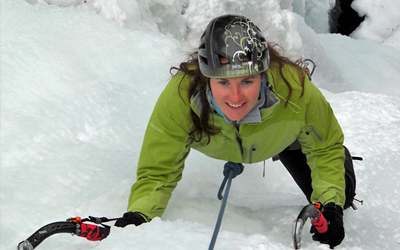 Tara has a variety of experience in the outdoor industry. Some of her experience include working for a wilderness therapy programs in Maine and Colorado. Tara has been guiding since 1999 and brings a lot to San Juan Outdoor Adventures. Her expertise span from hiking and climbing to teaching survival skills. She has also been a Wilderness Education Association instructor, interpretative guide, and a paddling instructor. If she is not guiding or managing the SJOA office you can find her running around in the mountains training for her next Ultra marathon. Tara’s education includes a B.S. in Adventure Based Recreation Program Management and an Associate in Outdoor Recreation. Some of her certifications and training include WEMT, (AIARE) Level 2 avalanche training, and CPR for the Health Care Provider. 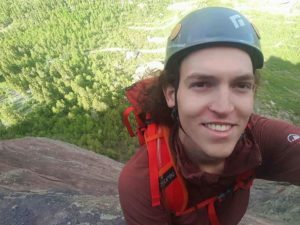 Jayci started exploring the Colorado Rockies with his parents at ten years old and started climbing in his late teens, but his real mountain addiction began after moving to Boston to go to college. After graduating he immediately moved back to Colorado to pursue his real passion. For the past ten years Jayci has been climbing extensively throughout the southwest and North America. 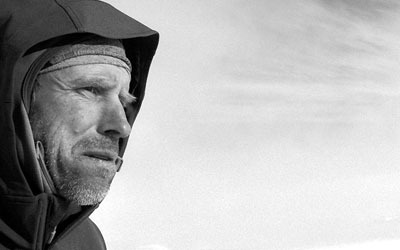 He has completed First ascents in Arizona, Utah and the Wind River Range in Wyoming. 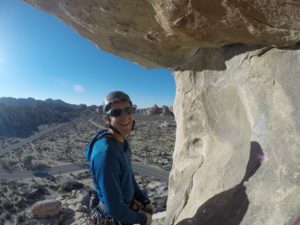 Jayci is currently pursuing his AMGA Rock Guide cert, and would like to also attain his Alpine Guide Cert. When not guiding he can be found high off the ground in the desert, or in his favorite climbing area, The Black canyon of the Gunnison. Kristin was born and raised in Denver, Colorado. Her love for the outdoors and adventure grew at an early age while skiing, biking, hiking, and backpacking around the state of Colorado. It has led her to explore the remote Alaskan mountains and numerous other locations around North America. Her passion to explore encouraged her to pursue guiding after college, and she feels it is a privilege to help others experience and learn from the outdoors! Kristin currently spends her time guiding in the Alaskan mountains and in Colorado; and is excited to have the the San Juan Mountains as her backyard. 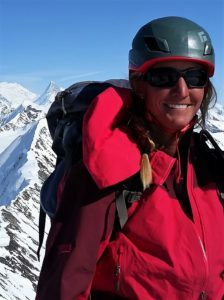 When she is not guiding you can find her searching for powder in the backcountry, mountaineering and ice climbing, or rock climbing in the deserts of the southwest.. Kristin has her AMGA SPI, WFR, and Level 2 avalanche certifications. She is currently pursuing her AMGA Rock guide certification, and hopes to obtain her Ski and Alpine certifications as well. Karl grew up in Wisconsin, hunting, fishing, paddling and skiing as much as possible. At college at UW-Madison until 2006, he learned to top-rope and trad climb as well as studying Geography. With Camp Manito-wish YMCA in Wisconsin, he led several backpacking trips to Alaska’s remote Brooks Range, then guided in wilderness therapy in Colorado. A Ski Patroller with Telluride Ski Resort since 2008, he enjoys the challenge of that job, applying his skills as a Nationally Registered Wilderness EMT (NR-EMT-B) and AIARE Level 2 Avalanche Grad. His travels by foot to the summits of Alaska, Colorado, New Zealand, Wyoming and N. Carolina are life highlights, especially as a guide. Karl has worked with San Juan Outdoor School since 2009. From picking juicy fruit on the family farm in Pennsylvania to choosing ripe ski lines in the San Juan Mountains of Colorado, the outdoors have always been a major theme in my life. My love for the mountains started chasing powder and conveniently attending college in Northeastern Vermont. This is also when I started my professional guiding career, leading mountaineering trips up Mount Washington and taking people ice climbing at various crags in the White Mountains of New Hampshire. After graduating with a B.S. in Mountain Recreation Management the chase for high peaks ensued as I found my way traveling across the country to the San Juan Mountains in Colorado. With Telluride as my current home base I still take every offseason as a chance to get out and travel, honing my skills in as many new realms as possible. They gave much of their time and effort to the San Juan Outdoor Adventures. Their influence will stay with us for a lifetime. Peter’s original roots go back to Vermont where he grew up at the base of the states biggest mountain, mt mansfield, hiking and skiing. He earned a BS from UVM in Outdoor recreation and resource management and has been working at managing his recreation ever since. In 1987he relocated to the San Juans where he has been guiding for over 20 years. Peters Guiding and personal adventures have taken on some wild adventures including 3 winter seasons spent in the Alps, skiing and climbing in India, Mountaineering in Peru and Nepal, a first ascent in China(Peak 5965m), A complete climb and partial ski of Mt St Elias, the second highest peak in the USA, not to mention 14 trips up Denali. Peters favorite passions are backcountry and ski mountaineering, ice climbing, and rock climbing(preferably in the warm desert sun). When he is not guiding or adventuring he works as an avalanche technician for the Telluride ski area(going on year 20). ” I love the outdoors, what can I say”. Jack Roberts has been climbing for 39 years and has climbed throughout Colorado since 1984. Jack isapublished author with the second edition of his ice climbing guide to Colorado, Colorado Ice, which was a finalist in theguidebook category at the 2006 Banff Book Festival. 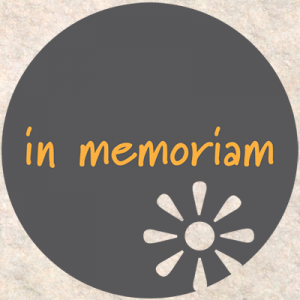 He is a frequent contributor to Climbing magazine, Rock and Ice magazine and the American Alpine Journal. He was awarded recognition at the Banff Book Festival as having written the finest article of the year in the 1997 Canadian Alpine Journal His latest article is published in Alpinist number 20, under the Mount Huntington story. He is frequently requested as guest lecturer, presentator and clinic instructor at the Ouray Ice Festival,Pont Rouge (Festiglace) ice festival, Bozeman Ice Festival, Cody Ice Festival and many others. He continues to write and publish stories for various websites, companies and climbing journals. Climbing group and went on to ascend big walls in Yosemite. Many of these were second ascents (The Shield, Zodiac, Tangerine Trip, Tis-Sa-Ack, Cosmos, Gobi Wall, El Cap Towers Right Side, Mescalito). Later on he gravitated to alpine climbing in Europe, Canada, Alaska where he established first ascents on Mt. Huntington, Denali, Mount Lewis, Mt. Kennedy and more. With Dale Bard he did the first free ascent of Polar Circus and with Tobin Sorenson did the first winter ascent of the North Face on Mt. Robson and the first winter ascent of the Central Couloir on Mount Kitchener.